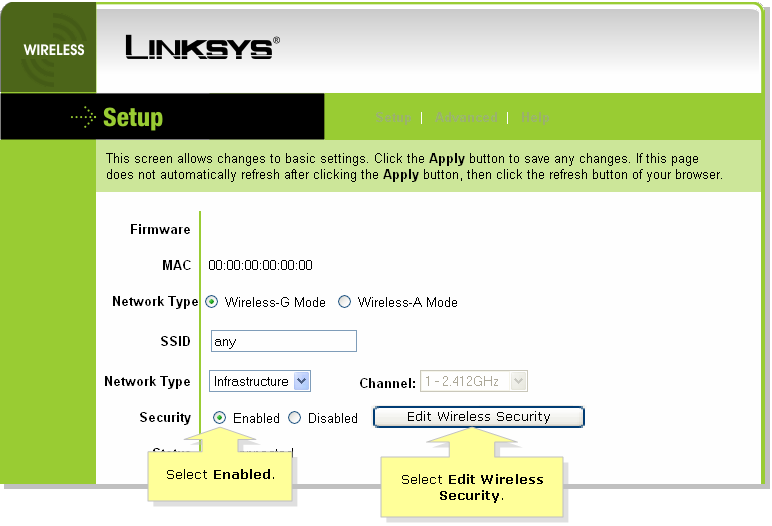 NOTE: If you do not know the wireless settings of your Linksys router, click here. You may consult the user guide or the manufacturer of your router for assistance. Connect the Wireless Game Adapter to your router using an ethernet cable. For instructions, click here. 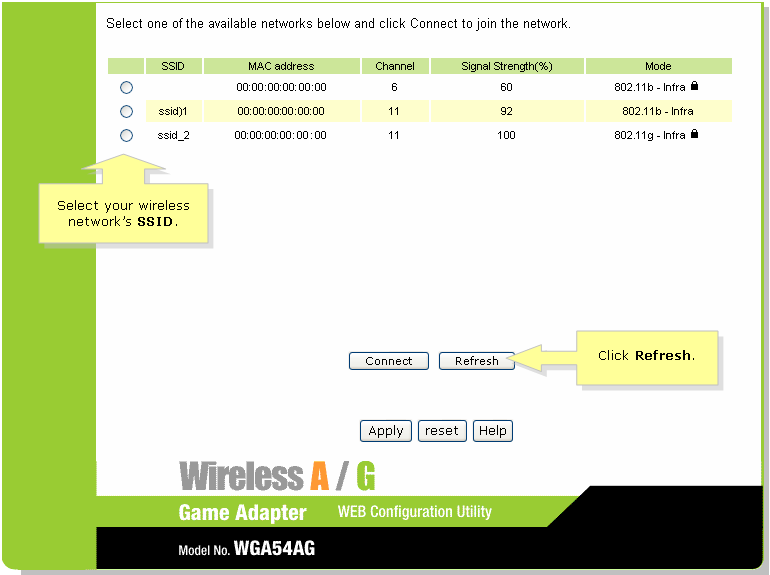 Access the Wireless A/G Game Adapter’s web-based setup page. For instructions, click here. 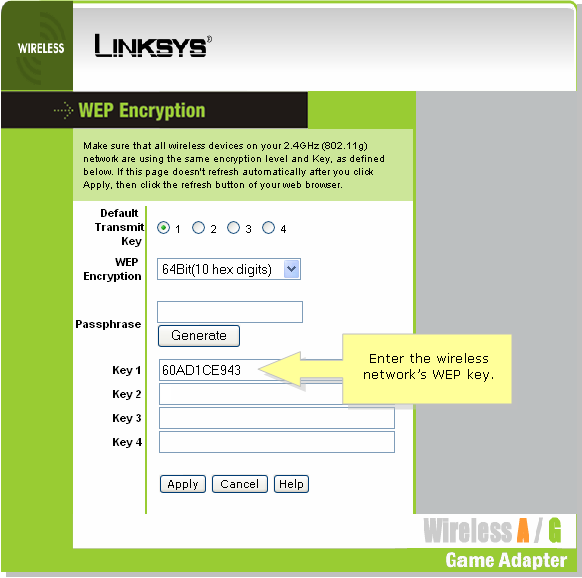 When the Game Adapter’s setup page opens, look for the SSID field and enter the Wi-Fi’s SSID. 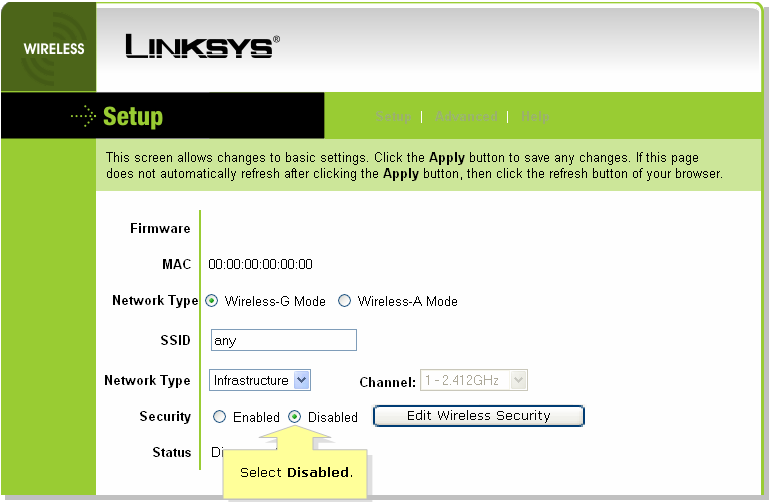 If the WEP is not enabled on the wireless router, look under Security and set it to Disabled then proceed to Step 10. If WEP is enabled, under Security, select Enabled then click Edit Wireless Security and proceed to the step below. When the WEP Encryption window appears, select the same Default Transmit Key as your router’s. In this example, 1 is selected. 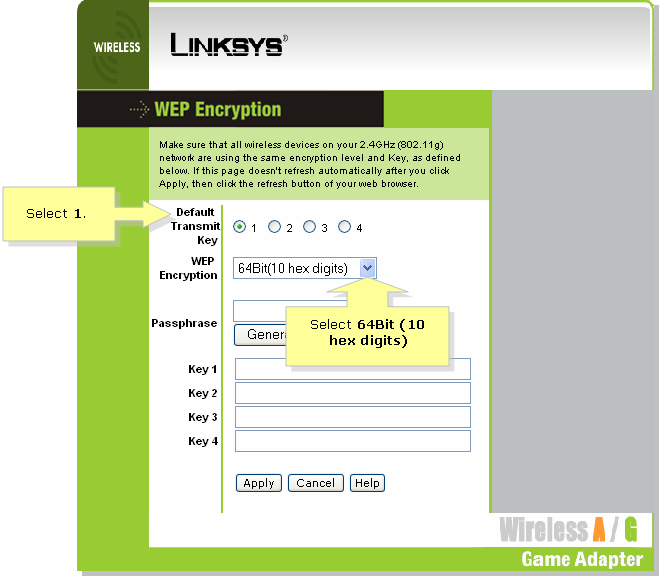 Also, select the WEP Encryption level, either 64Bit(10 hex digits) or 128Bit(26 hex digits). In this example, 64Bit(10 hex digits) is selected. Enter the Wi-Fi’s WEP Key based on the Default Transmit Key selected. Since Key 1 is selected in Step 6, enter the WEP Key in the Key 1 field. When the Setup page appears, scroll down then click Refresh and select your Wi-Fi’s SSID. 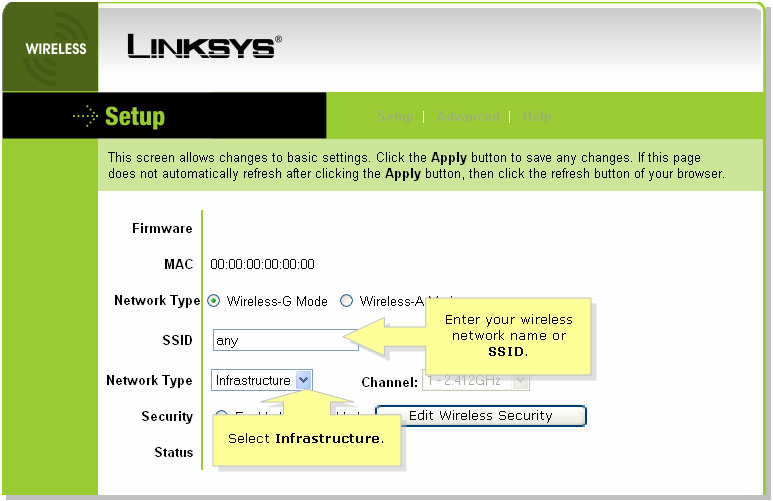 You have now successfully configured your Linksys Wireless A/G Game Adapter.